The most versatile essential oil I use, peppermint should be stocked in everyone's medicine cabinet. This is a very pure, very high quality therapeutic grade peppermint oil. Cools the body - examples: hot flashes, fevers. Many people have found that it breaks a fever when they take just a few drops. 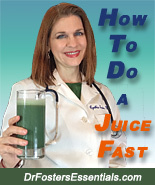 Encourages healthy bile flow from the liver. Gentle liver cleanser. Inhaling can relieve minor headaches. It can be applied on the temples or back of the neck during a headache for pain relief. Provides a natural energetic lift when inhaled. For a refreshing pick-me-up, put one drop in a glass of water with a few drops of liquid stevia - Wow! Note: This peppermint oil comes from the Pacific Northwest directly from the farm where it is grown and distilled. The Pacific Northwest is known for the highest quality peppermint in the country. This oil is steam distilled at low temperature and low pressure to extract many phytoconstituents that would normally not be extracted. The result is a lovely, complex and very rare peppermint oil with many subtle overtones and undertones with additional therapeutic properties that those constituents add to the oil. It is very common in the industry to triple distill the oil to get a crisper "minty" smell. A lot of this triple distilled oil is sold to the gum and mint industry and smells like a candy cane, but this is not what high quality single distilled therapeutic grade peppermint oil is supposed to smell like. When an essential oil is triple distilled, some therapeutic components can be destroyed. Dr. Fosters Essentials peppermint oil is very unique and rare in that it has been distilled only once - NOT triple distilled. I applied a drop to a rash and felt the cooling sensation for over half an hour! Peppermint oil can feel very intense when applied around the eye area, especially for children. Make sure to keep away from the eye area. Dilute with carrier oil (almond oil, sesame oil, castor oil, olive oil, etc.) before applying to sensitive skin. Hi, I've been using Dr.Fosters Peppermint Essential Oil because it's the only one I know out of other brand comparisons that tastes, smells, and works the best. I've dealt with indigestion, slow digestion, and sometimes stagnant digestion. I take a drop or two internally with very little water and shoot it down quick for indigestion and it simply blasts it away literally on contact after I swallow! I've noticed that I don't really get indigestion much at all anymore. I'm sure it's a combination of cleansing and the peppermint essential oil. Also very good for headaches and relaxing the muscles as well. Dr.Foster products are what she claims and then some. I've been using them for years. Thanks Dr.Foster!